2019 finds us back in the Caribbean, from where we continue sailing westwards towards Panama Canal. 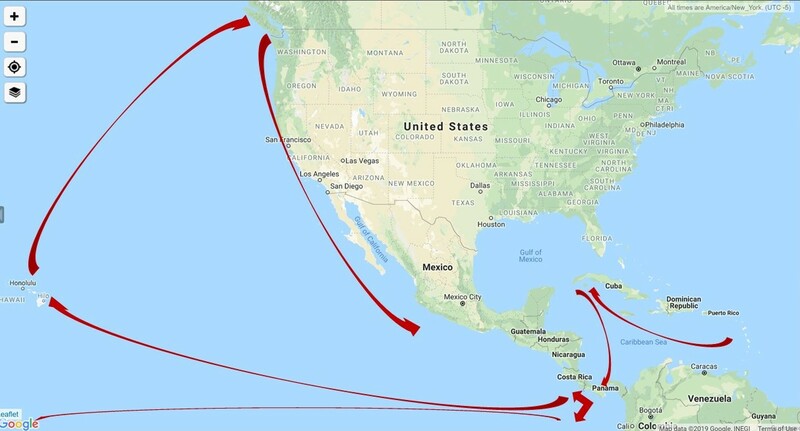 For the summer season we are still undecided whether we go up the west coast USA or leave s/v Cloudy Bay somewhere in Colombia and travel inland North & South America or even Europe. We’ll see how we feel towards the end of the Caribbean season. Welcoming your suggestions on any of the above. 2018 was the start of the big adventure! We crossed the Atlantic in January (Lanzarote to Barbados, see articles under Atlantic Crossing archives). February-May we cruised the windward Caribbean islands, Grenada to Martinique, and some of the leeward islands, Dominica to Antigua & Barbuda. 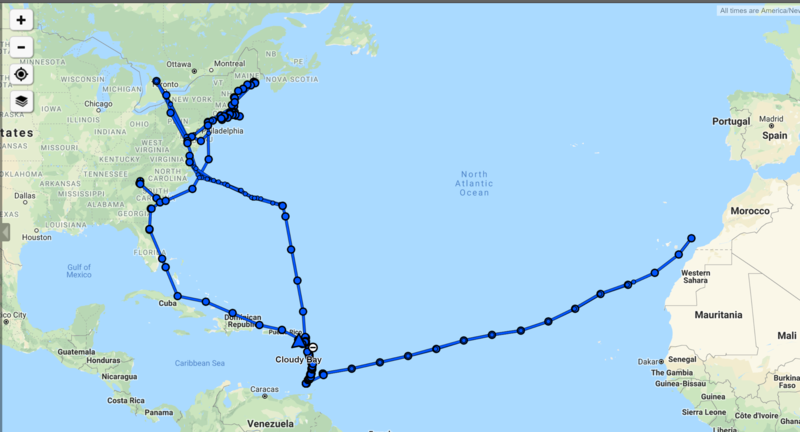 In June we started the cruising up the eastern coast of US from Florida to Maine and then back down to Chesapeake Bay (see articles under Americas archives, by islands or by states within USA). Mid-November 2018 we left the USA from Norfolk VA and returned to Caribbeans via Bermuda for another season, starting in Antigua where we left off. 2017 cruising route was mostly in Greece (Ionian, Corinth Canal, Evia, Sporades & Cyclades), welcoming brave visitors. It was also a good time to test all the new systems that were installed during the refit in Feb-Apr, see article “Refit Project & Boat Maintenance-Almerimar“. October found us in Lanzarote, preparing for the transatlantic passage, and in November back home to Bucharest & London. 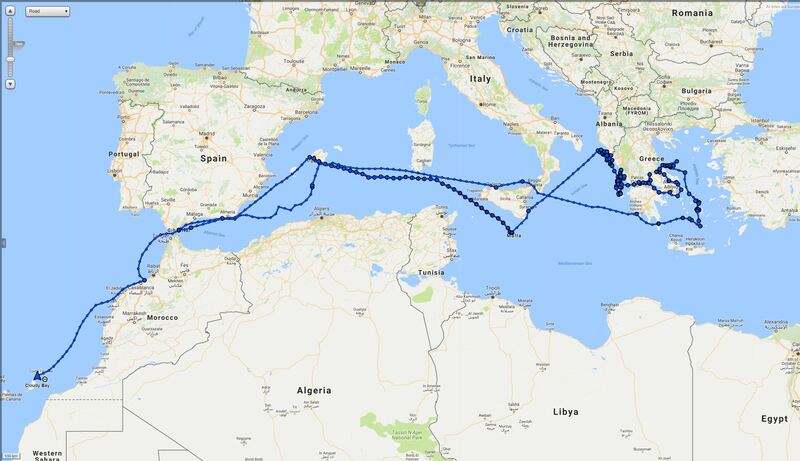 2016 cruising route was in the Western Mediterranean. We spent June in Gibraltar, July on Costa del Sol, August on Costa Blanca, and September in the Balearics. We have focused on “learning” the boat (read manuals too), and we got used with all her systems. Our sailing season ended in late October, and winter found us in Bucharest.